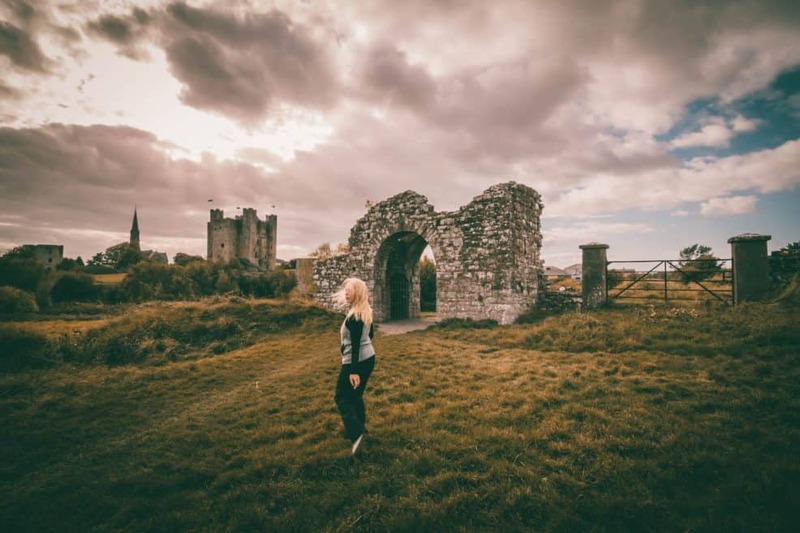 If you’re in the stages of planning a trip to Ireland we’ve prepared a few Ireland travel tips to help you out! If you’re looking for one of the friendliest, greenest, and naturally beautiful countries on earth, then look no further than Ireland. 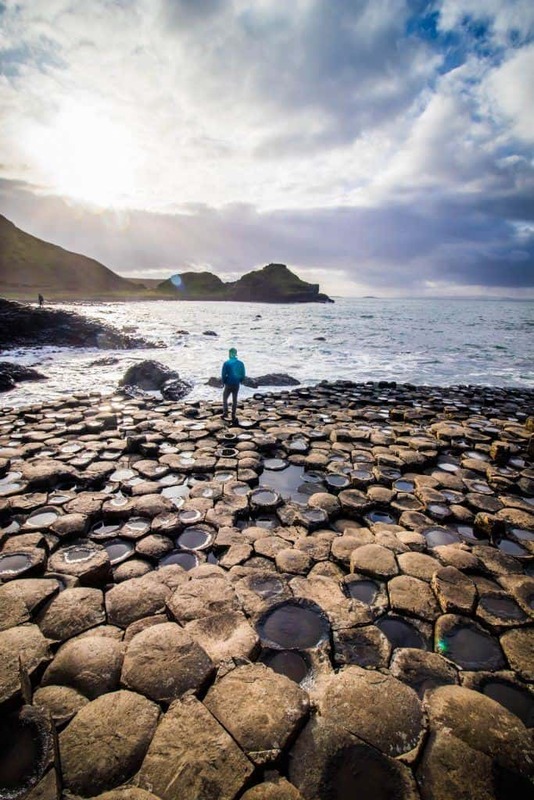 There must be something to the rolling green hills, castles, whiskey, rain, Guinness beer, and rugged coastline as it draws millions of visitors to book a trip to Ireland every year. The country’s small size and accessibility make it easy for travelers. 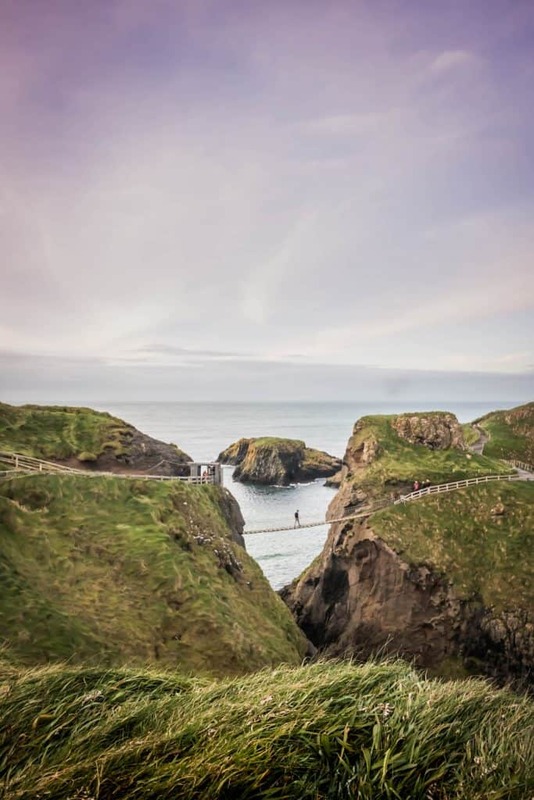 However, there are a few things to know before you head to the Emerald Isle. The Republic of Ireland and Northern Ireland are located on the island of Ireland. To clarify, The Republic of Ireland is its own country – while Northern Ireland is a part of the United Kingdom. It’s been like this since the 1920s, and I think people would appreciate if the world knew the difference. Ireland is a British Isle, but that does not make it British. Great Britain refers to the largest islands of the British Isles and represents the majority of the United Kingdom. The UK is made up of England, Wales, Scotland, and Northern Ireland. It can be confusing to foreigners – so watch this video to clear it up. You can travel freely between the two countries. We traveled freely between the two countries many times and were never stopped at a border post or had to produce a passport to get stamped. Here’s some more detailed information – granted this may all change thanks to the Brexit, but they say there will still be an open border. Citizens of The Republic of Ireland are referred to as Irish, while citizens of Northern Ireland are Northern Irish. Got it? That being said Ireland uses the Euro note and Northern Ireland uses the British Pound. I wouldn’t suggest changing currencies at a currency exchange, but an ATM to pull out the currency you need. 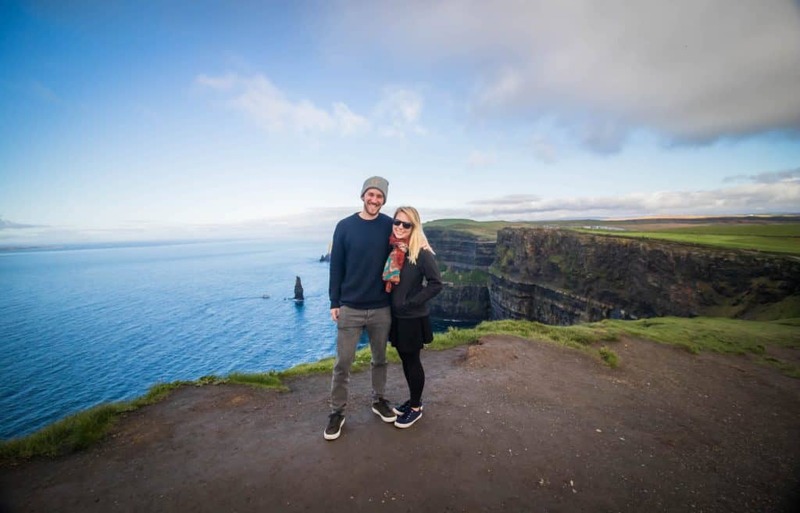 You can read more about our travel banking tips here before traveling to Ireland. I’m sure you weren’t planning on traveling to Ireland for a suntan. The country is known for being very green, and that means plenty of rain! Rainfall has become a part of Irish life, especially in the west. The average number of “wet days” ranges from about 150 days to 225 days a year. Your best chance of sun and warmth in Ireland is in the summer months of June and July. We went in late October and still had a few nice days of sunshine! I guess what I’m trying to say is be prepared for all sorts of weather when you’re planning your trip to Ireland. No matter what, remember topack a rain jacket. With all that rain in Ireland, you will no doubt see a few rainbows. But I wouldn’t go chasing them to the end in search of a leprechaun with some gold lucky charms. Although leprechauns are part of Irish modern folklore there aren’t any real leprechauns in Ireland – sadly. If you have traveled all the way to Ireland you are probably going to want to get at least one pint of Guinness in the pub. A pint of Guinness should cost no more than €5, and if it does you are more than likely in a tourist pub that is ripping you off. 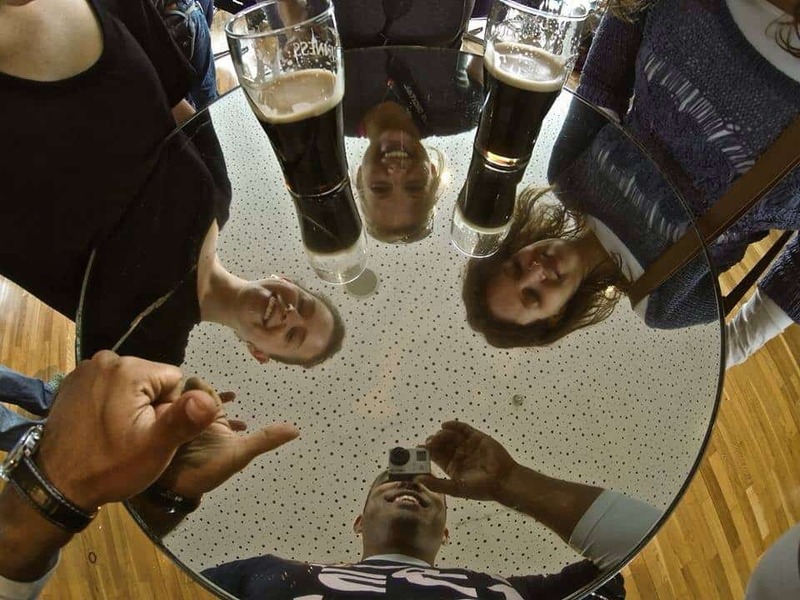 We do however recommend visiting the Guinness Store House. At €17 a ticket it may be the most expensive Guinness you’ll ever pay for, but the whole experience and tour is well worth it when you are visiting Dublin. You can pick up priority access tickets here and skip the line! I think we were asked at least 10 times what we made us plan a trip to Ireland. Were we chasing our ancestry? Did we have relatives in Ireland? Do we have Irish blood? Truth is we just came for the beautiful countryside, history, and friendly locals. (And I really love PS I Love You). So, we always had to tell our new friends that we weren’t Irish and neither of us had Irish ancestors – at least not that we knew of. 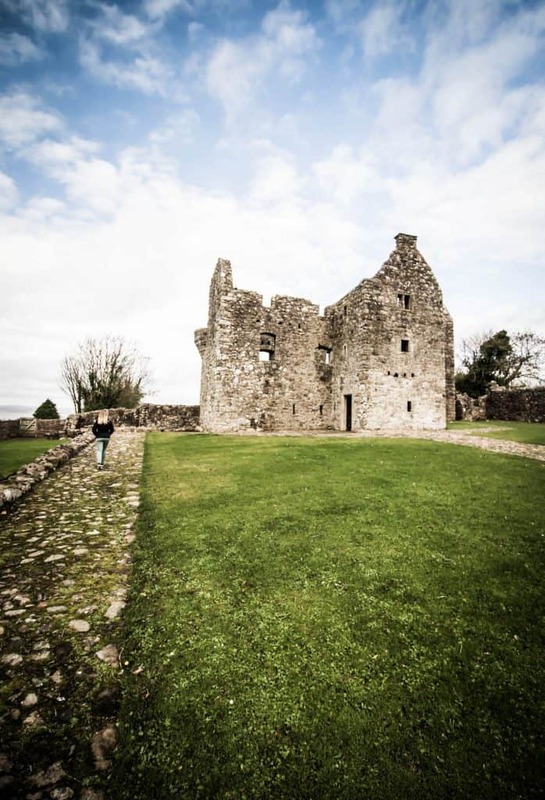 The reason we were asked so much is that there are a lot of tourists in Ireland – specifically a lot of American tourists like us who are tracking down their ancestors. Between 1820 and 1930, 4.5 million Irish immigrated to America. At one point they made up over 1/3 of the immigrants in the country. So, that means there are a lot of Irish Americans floating around today and many of them want to go chase their heritage! Do you remember that quote in Titanic where Tommy O’ Ryan tells Fabrizio that “It was an Irish ship,” and “15,000 Irishmen built the ship.” It’s okay if you don’t, I have just seen the movie a hundred too many times. The grand Titanic was indeed built in Belfast, Ireland. Which back at the turn of the century was a part of Ireland (which was all still part of Britain). The ship was built on Queen’s Island, now known as the Titanic Quarter, in Belfast Harbour by the shipbuilders Harland & Wolff. If you know anything about the Titanic you know that it was the largest ship of its time. SPOILER: On the night of April 14th. 1912 the ship hit an iceberg and sank. However, her legacy has lived on in movies, books, music, and marine time safety regulations. 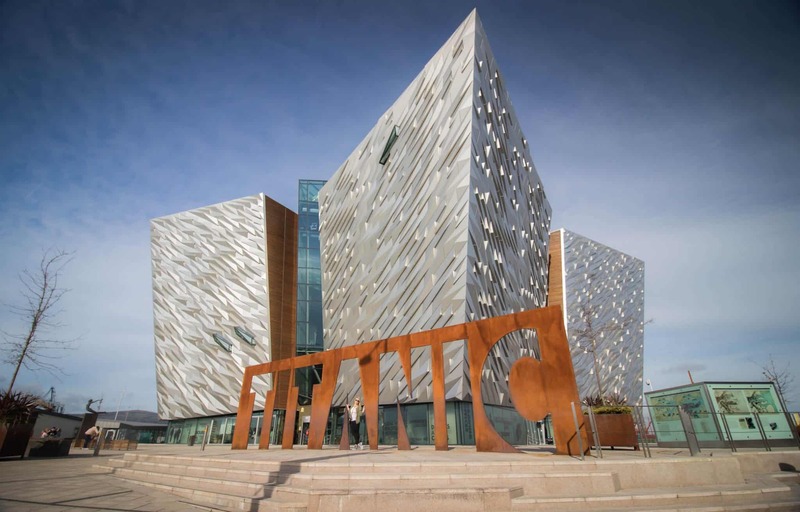 The latest iteration is the new Titanic Belfast museum. It’s located exactly where the ship was built. I’ve been back to the museum twice and have loved it both times. It’s definitely worth a half day if you find yourself in Belfast. You can stay at the most bombed hotel in Europe! On Great Victoria Street in Belfast, you can find a hotel with an amazing history. 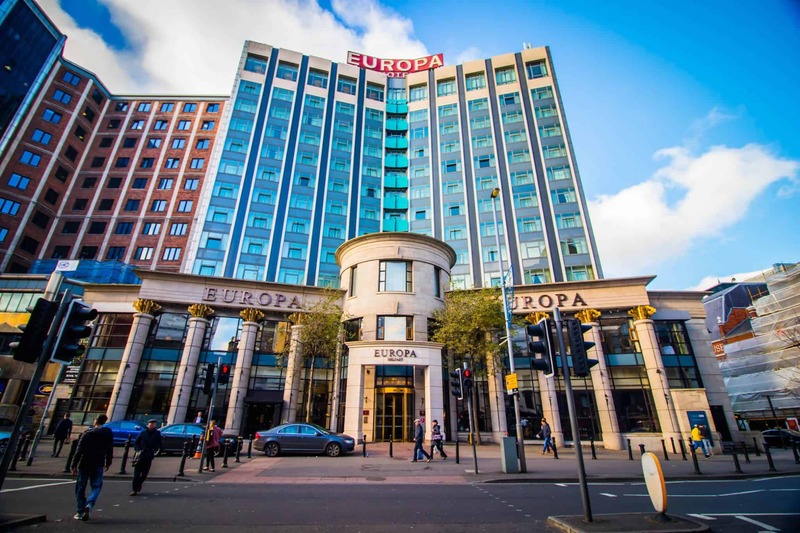 Europa Belfast Hotel is a beautiful hotel, which you can easily see from the outside. But we were shocked to find out that is actually the most bombed hotel in not only all of Europe, but the entire world! During The Troubles, the Europa suffered 36 whopping bomb attacks. The most damaging was in 1993, and it was closed for refurbishments. Nowadays it’s the best hotel to stay at in the city. It’s an iconic part of Belfast with plenty of character. We knew we just had to stay on our visit to Belfast. We found the hotel to be charming, comfortable and beautifully decorated. Make sure to check out the piano bar even if you aren’t staying overnight! Do you watch Game of Thrones? I don’t, but Cameron does so he had a field day reliving certain scenes that are on the hit HBO show. 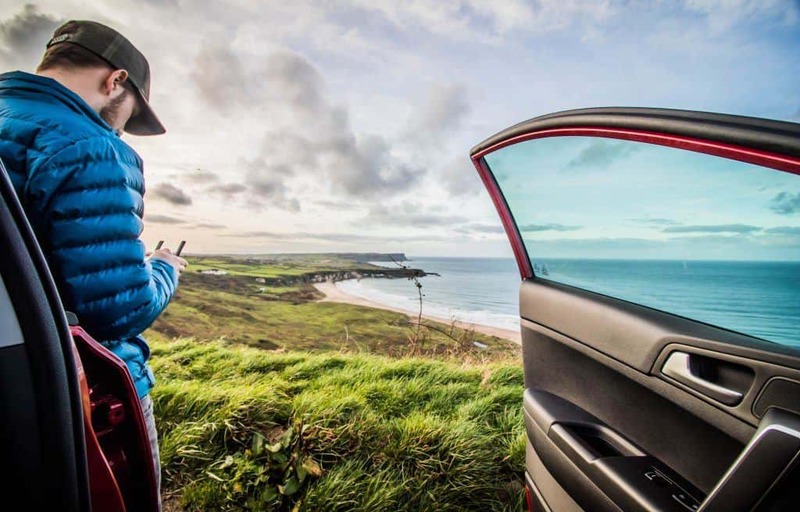 Much of the show is filmed in Northern Ireland, and if you are a GOT geek I suggest renting a car and driving to all the locations in Northern Ireland to see for yourself. 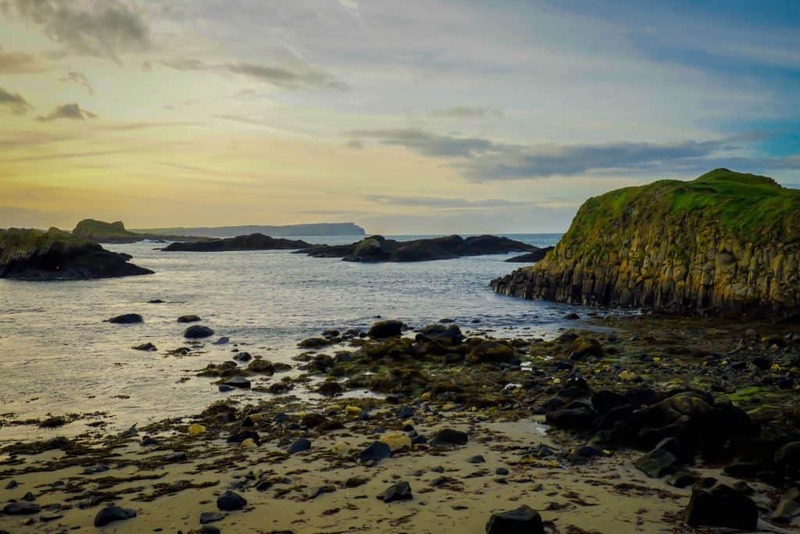 Some iconic locations include the Antrim plateau, the Dark Hedges, Cushendun Caves, Murlough Bay, Ballintoy Harbour, Larrybane, Castle Ward, Inch Abbey, and Downhill Strand. If you’re not keen on driving or don’t have a car rental in your budget consider booking a tour. 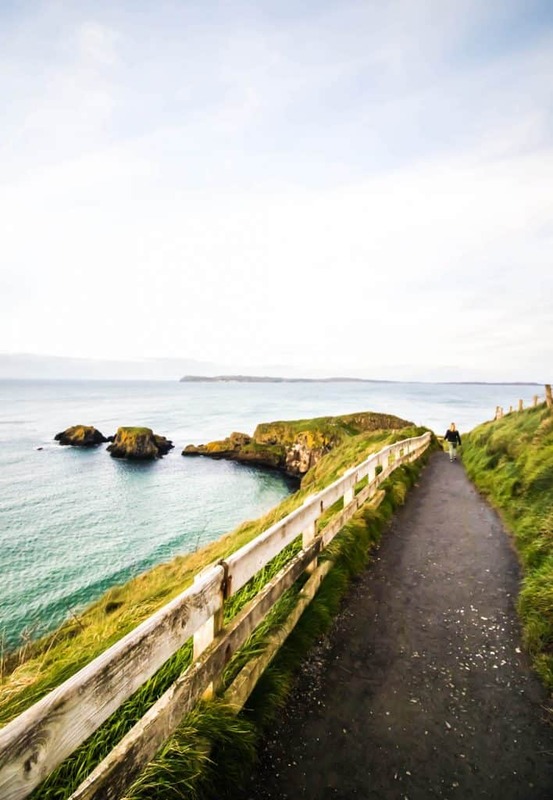 Ireland is not the cheapest country to travel; however, it is possible to plan a trip to Ireland while staying on a budget. Hostel dorm rooms will cost anywhere from €10 to €20 a night, while you can also find a mid-range hotel room for €100. We opted to stay in Airbnb’s and had our own apartment for €60 a night. Here is a coupon off your next Airbnb booking so you can do the same! The good news is that food at the grocery store is cheap. We were able to go to Lidl and spend €25 for three days worth of food for the two of us (granted we don’t eat meat)! Ireland produces a lot of its own food, so the food is not only affordable but great quality. Expect to pay between €7-10 for a cheap fish n chips meal. Irish cuisine is very hearty with some of the staple dishes being Irish stew and seafood pie. I’ve traveled to Ireland twice now. The first time I was backpacking Europe and took public buses everywhere. The bus and train system in Ireland is efficient, affordable, and reliable, with most of the transport options featuring free WiFi. On our most recent trip, we rented a car to get around the island, which is also affordable and reliable. Having a car is always the easier and more convenient option, but if you are just one person the cost of the rental and fuel may break your budget. I would suggest checking Ireland’s bus timetables to make sure you can get where you want to go with public transport. If you are a group of two or more consider renting a car. Just note that in both Ireland and Northern Ireland drivers drive on the left side of the road and you should know how to drive a manual car as automatics are expensive. Speed limits are posted in kilometers per hour in Ireland and miles per hour in Northern Ireland – confusing. We were able to get a car from Dublin airport for two weeks for €150 and we paid €1.20/liter for fuel. You can drive the car in and out of Northern Ireland as much as you like without border checks. 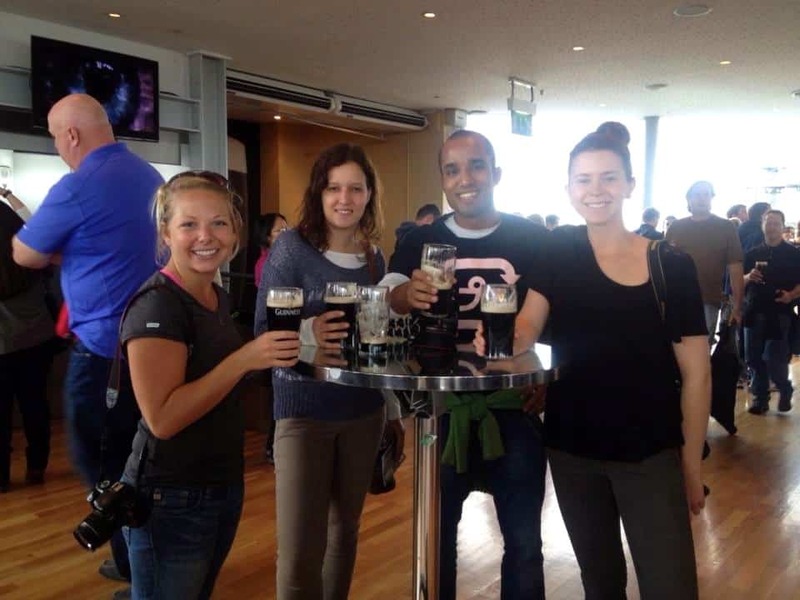 If you’re wondering how to plan a trip to Ireland the first step is to purchase a flight. That’s where you may see the budget carrier Ryan Air pop up. The notorious Ryan Air is actually an Irish company. If you plan to fly around Europe from Ireland you may have to fly with the low-cost carrier. I know they’ve received quite a lot of bad and justified press in the past. But we personally have flown them at least 10 times around Europe and have never had an issue with them. Just lower your expectations, abide by all their rules to avoid extra fees, and enjoy your cheap flight – most meals out cost more than their flights! Remember when I said that it rains a lot in Ireland? That means you should pack a rain jacket and travel umbrellain your carry on luggage. I would also recommend packing a nice wool sweater,scarf, and a hat for those windy days. We really enjoyed going on long walks and hiking in Ireland so it’s a good idea to pack a comfortable pair of walking shoes. Don’t forget that Ireland uses uses the British three prong plug. I use an all in one travel adaptor like this one to get me around the world. Both times that I traveled to Ireland I was surprised that many people were still reading and speaking Irish Gaelic. I found this most prevalent near Galway, but even the road signs around the country are in both English and Gaelic. That’s because Irish Gaelic is the first official language followed by English. According to 2016 Irish census, more than 70,000 people speak Irish Gaelic daily and about 55% (c. 2,500,000) of people in the Republic claim to understand and speak the language. Of course, everyone will know English, but it doesn’t hurt to learn a few phrases before your trip, you’ll probably even impress the locals! Great tips, and love the photos, gonna save this. Thank you so much.